Publisher’s Description: What did people really believe in the Middle Ages? Much of our sense of the medieval period has come down to us from the writings of the learned: the abbots, priors, magnates, scholastic theologians and others who between them, and across Christendom, controlled the machinery of church and state. For G R Evans too much emphasis has been placed on a governing elite and too little on those – the great mass of the semi-literate and illiterate, and the emergent middle classes – who stood outside the innermost circles of ecclesiastical power, privilege and education. Her book finally gives proper weight to the neglected literature of demotic religion: the lives of saints; writings by those – including lay women – who had mystical experiences; and lively texts containing stories for popular edification. Ranging widely, from the fall of Rome to the ideas of the Reformation, the author addresses vital topics like the appeal of monasticism, the lure of the Crusades, the rise of the friars and the acute crisis of heresy. As Evans reveals, medieval Christianity was shaped above all by its promise of salvation or eternal perdition. Excerpt: This volume aims illuminate the diversity of the aristocratic experience by providing five texts, translated into English for the first time, that show how noblemen and women from across the German kingdom lived and died between approximately 1075 and 1200. The subjects of these works – a margrave, a bishop, a magistra, an abbess and a count – were all prominent figures in the German kingdom. 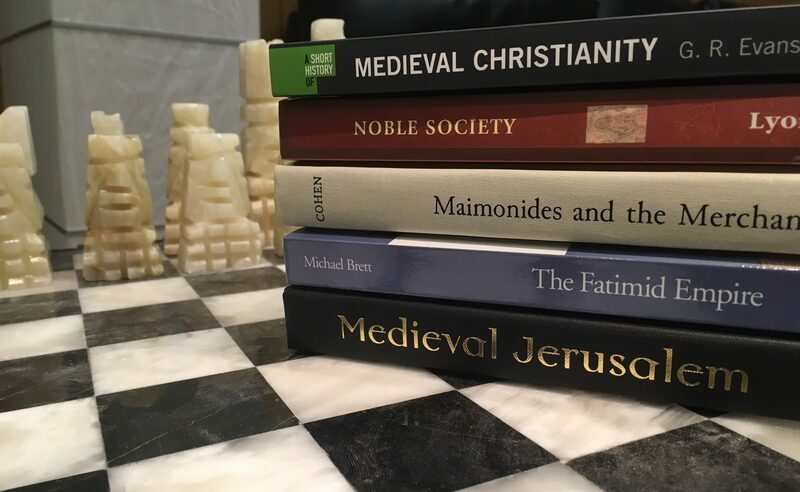 To read these five sources together is to appreciate how interconnected political, military, economic, religious and spiritual interests could be for some of the leading members of the twelfth-century nobility – and for the authors who wrote about them. Whether fighting for the emperor in Italy, bringing Christians to pagans in what is today northern Poland, or founding, reforming and governing monastic communities in the heartland of the German kingdom, the subjects of these texts call attention to some of the many ways that elite culture shaped European society in the central Middle Ages. Excerpt: Research for this book began unexpectedly, with my study of poverty and charity in the Jewish community of medieval Egypt. That work is based primarily on documentary evidence from the Cairo Geniza about the poor and those who came to their relief—whether through private charity or communal institutions. For the normative stance of Jewish law (halakha), I consulted Maimonides’ Code, the Mishneh Torah—specifically, the section “Laws of Gifts for the Poor” (Hilkhot mattenot ‘aniyyim). Maimonides’ Laws of Gifts for the Poor represented the first attempt to draw together and systematically codify all the rabbinic teachings about charity, assembled from rulings scattered throughout the Bible and the Talmudic and post-Talmudic literature. To my surprise, I discovered that several enigmatic rulings about charity in the Code over which some medieval commentators had puzzled could be explained by drawing on Geniza evidence of how charity operated “on the ground.” I hypothesized that other subjects in the Code relating to daily life could be similarly illuminated using the same methodology. Commercial law seemed an obvious candidate for further inquiry. Publisher’s Overview: The Fatimid empire in North Africa, Egypt and Syria was at the centre of the political and religious history of the Islamic world in the Middle Ages, from the breakdown of the ‘Abbasid empire in the tenth century, to the invasions of the Seljuqs in the eleventh and the Crusaders in the twelfth, leading up to its extinction by Saladin. As Imam and Caliph, the Fatimid sovereign claimed to inherit the religious and political authority of the Prophet, a claim which inspired the conquest of North Africa and Egypt and a following of believers as far away as India. The reaction this provoked was crucial to the political and religious evolution of mediaeval Islam. This book combines the separate histories of Isma’ilism, North Africa and Egypt with that of the dynasty into a coherent account. It then relates this account to the wider history of Islam to provide a narrative that establishes the historical significance of the empire. Excerpt: Piqued by renewed interest in the Holy Land and its holiest city, a number of archaeologists, historians, and art historians have turned once again to a question first raised by scholars of the nineteenth century: When and in what circumstances did Jerusalem, a city long venerated by Jews and Christians, become a hallowed place for Muslims? For with great reverence, Muslims came to see Jerusalem as a holy site comparable in religious importance to Mecca and Medina, the cities of Arabia that gave birth to the Prophet Muhammad and his first Muslim community. If revisiting Jerusalem’s emergence as an Islamic city were not enough to fill a scholarly docket, this book covers less traveled ground and poses a second question: Why is it that certain medieval Muslim authorities the need to go against the weight of Islamic tradition and deny Jerusalem an exalted status similar to the holy cities of Arabia?